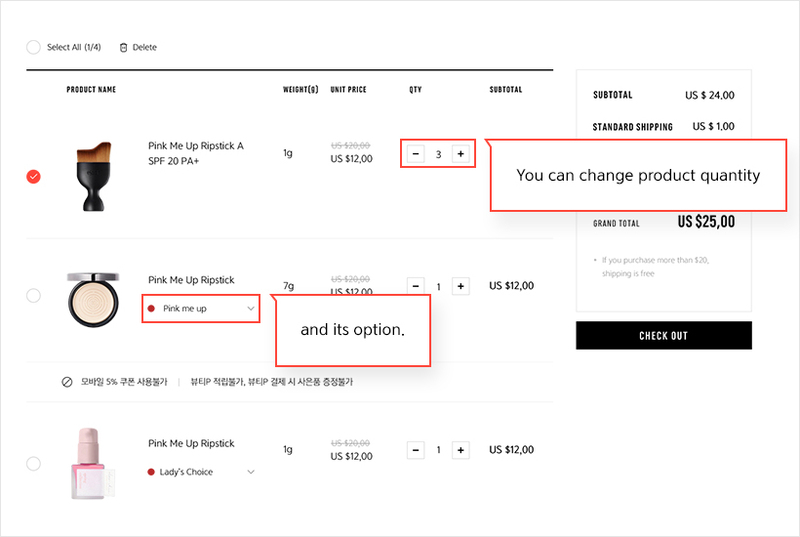 You can change product option and quantity in the shopping bag. 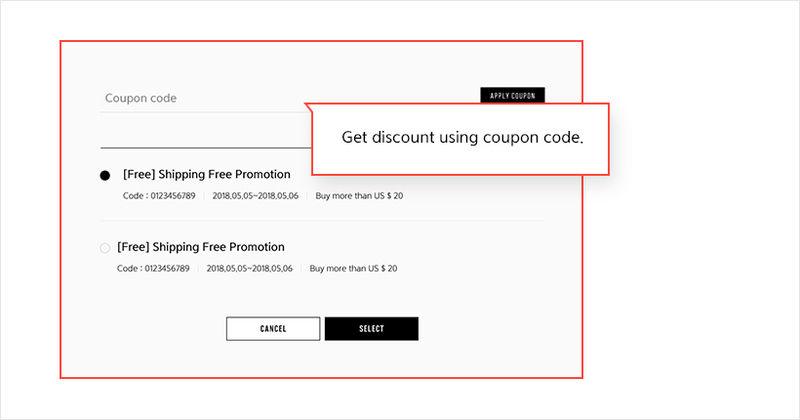 If the product in the bag goes out of stock, it will be excluded from the order. Orders over $20 will be sent free of charge. Fill out the shipping information form and choose delivery service type. All costs occurred during the Clearance process including import customs, needs to be paid by the customer. The tax rate applied depends on your ship-to destination. These charges are separate from shipping charges and you will be billed directly. Payment methods differ by country. Once shipping begins, order information and invoice number will be sent via e-mail. You can also track your order in [My Page > Order History] in eSpoirmall. Order goes through five stages. You can cancel your order when it is in Order Complete and Order Confirmation. In other cases, you must contact the customer service center, or you can get a refund only. but payment not yet made. Paid via credit card / PayPal. Shipping rates are automatically calculated based on package weight, shipping location and delivery agency. You can check it at the check-out page. It is not possible to ship separately to more than one country on a single order. If you want to ship to different countries, please separate your order. 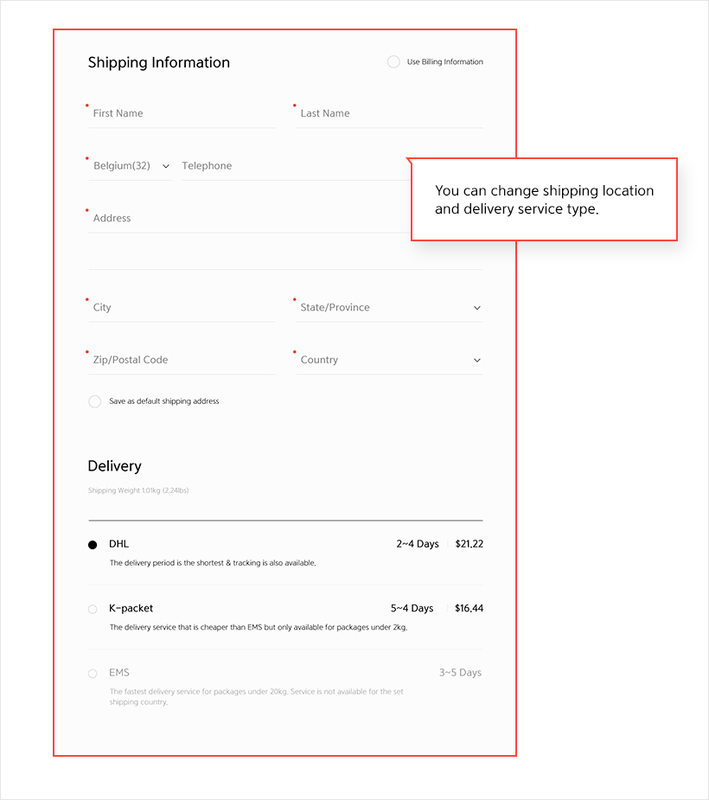 Once shipping begins, you cannot change the shipping location. You can cancel your order when it is in Order Complete and Order Confirmation. You can cancel your order in whole, but not in parts. 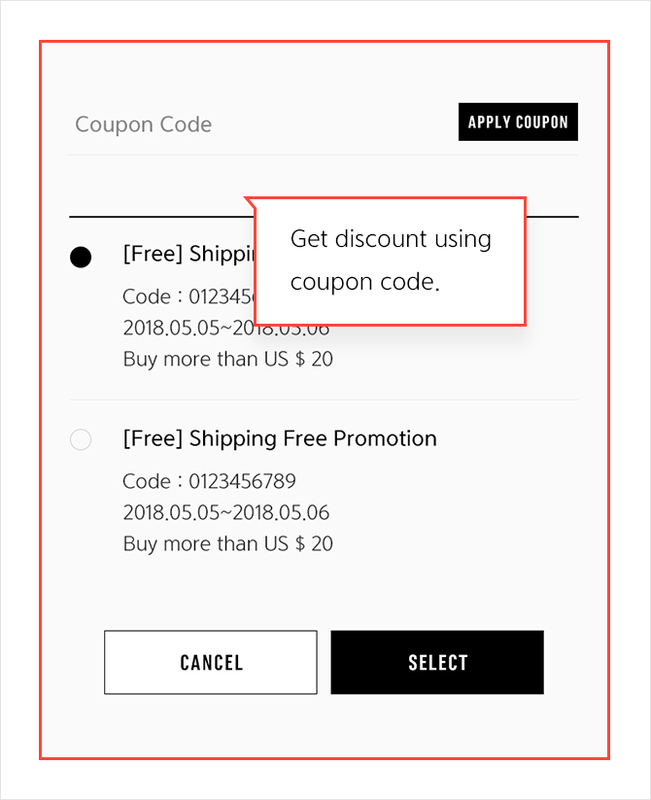 To cancel an individual order, cancel the order in whole and place an order again. Shipping rates will not be returned though you cancel parts of the order. You can return your order in whole and in parts. Go to Contact Us for return. For goods returned because of your fault and/or changing your mind, you are responsible for return shipping rates. You must cover the return shipping rates though you have received your package using free shipping code. You must also return samples and free gifts together. If the return deadline has passed. If you opened the package and as a result, goods went down in value. If you have used goods in whole or in parts and as a results, their value went down.